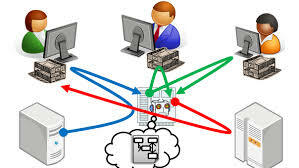 A workflow consists of a sequence of connected steps where each step follows without delay or gap and ends just before the subsequent step may begin. It is a depiction of a sequence of operations, declared as work of a person or group, an organization of staff, or one or more simple or complex mechanisms. 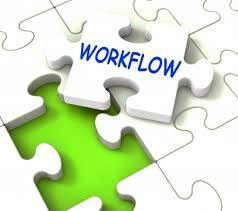 Workflow may be seen as any abstraction of real work. For control purposes, workflow may be a view of real work in a chosen aspect, thus serving as a virtual representation of actual work. The flow being described may refer to a document or product that is being transferred from one step to another. Workflows may be viewed as one primitive building block to be combined with other parts of an organisation’s structure such as information silos, teams, projects, policies and hierarchies.